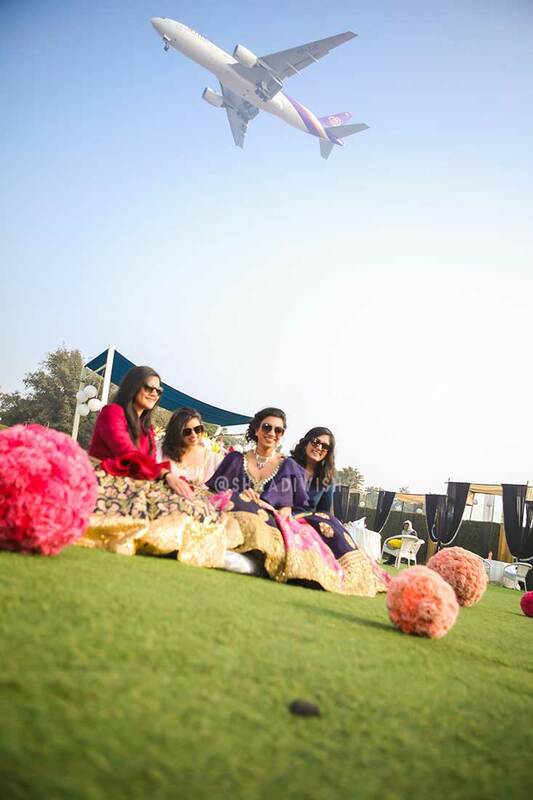 As your official wedding guide, we have been a part of your beautiful journey and witnessed many happy moments. 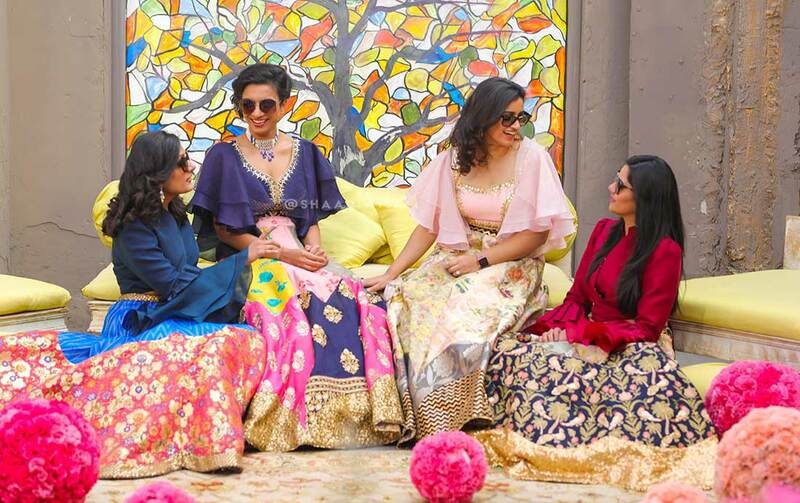 The best one, however, still remains the Royal Rehearsal – Makeup trials. 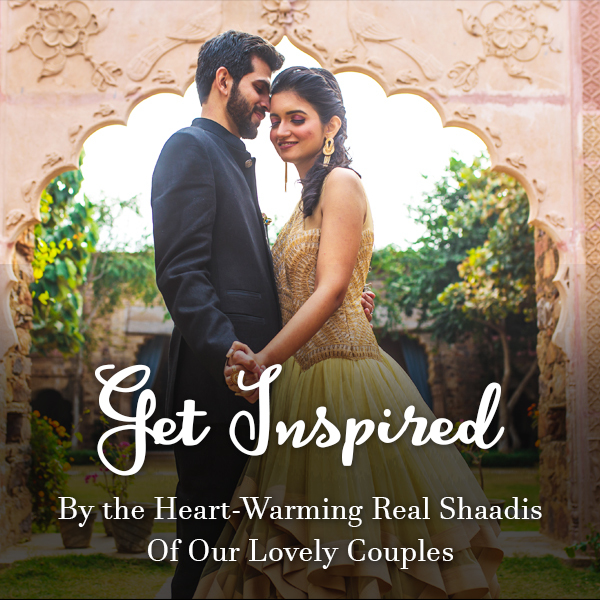 We hosted this fabulous event on 24th and 25th August 2018 at CHI, The Spa, Shangri-La – Eros Hotel (New Delhi). 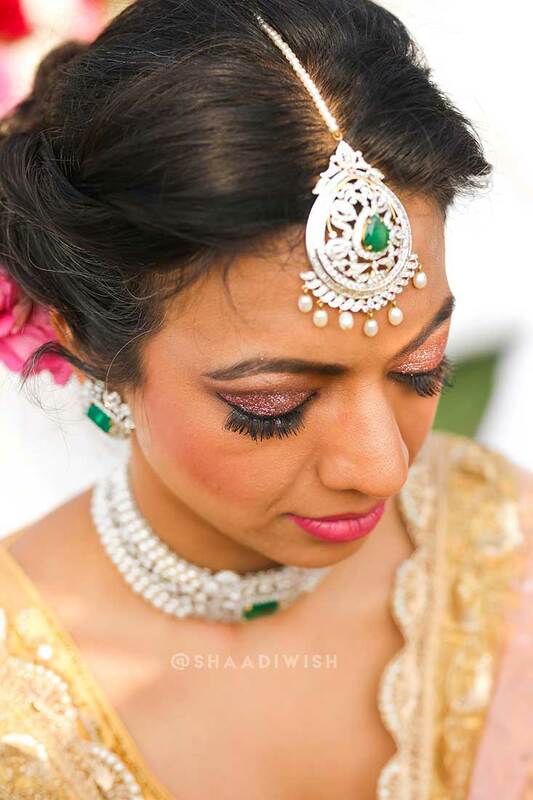 The event was made successful by many participating makeup artists and brides-to-be. 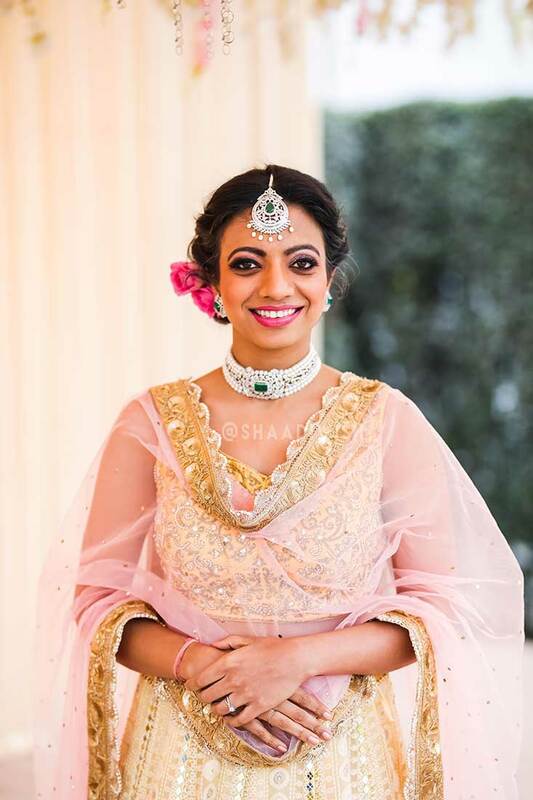 In addition to the makeup trials, we offered our wedding planning services to the brides-to-be and loved their response. 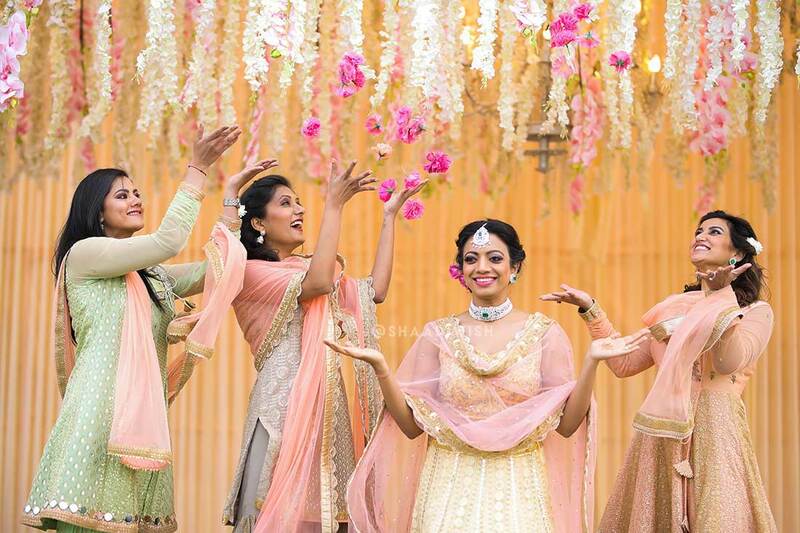 The enthusiasm of the brides rose to a different level when they got to know about our little contest. 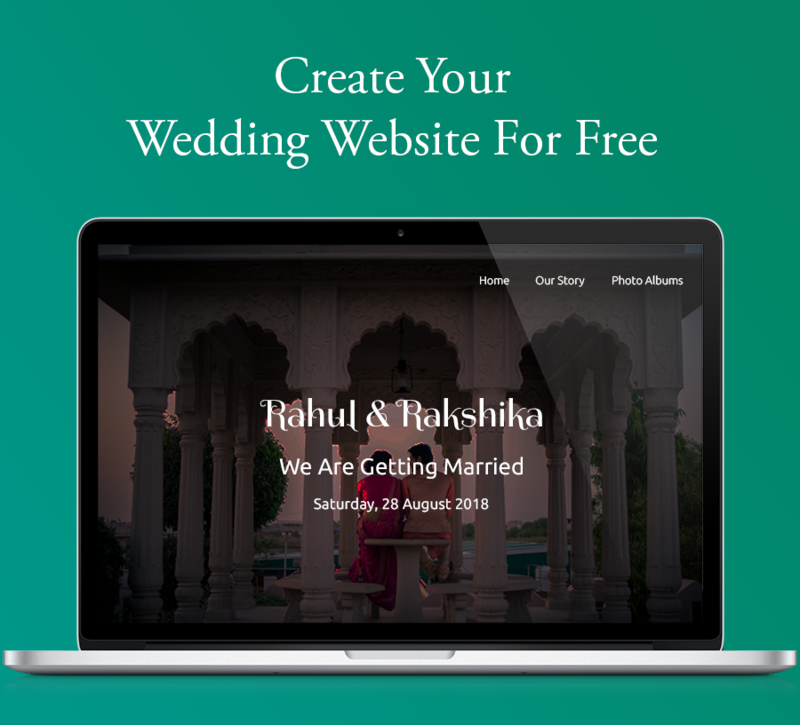 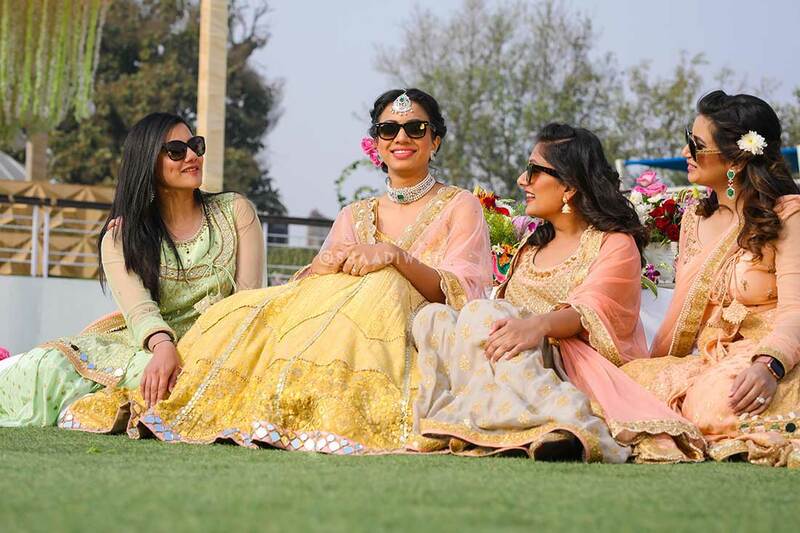 As a part of the Royal Rehearsal, we selected one bride for a free bridesmaid photoshoot. 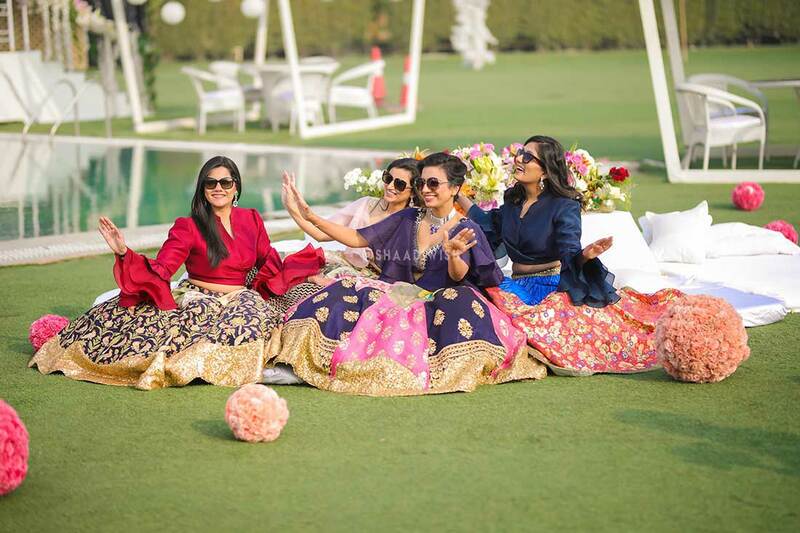 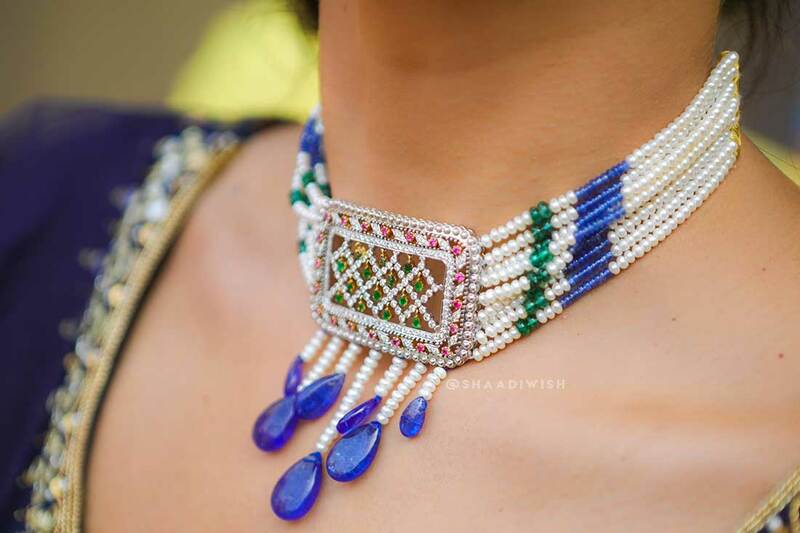 The entire shoot was conceptualised by ShaadiWish and all our bride had to do was to bring her girl gang. 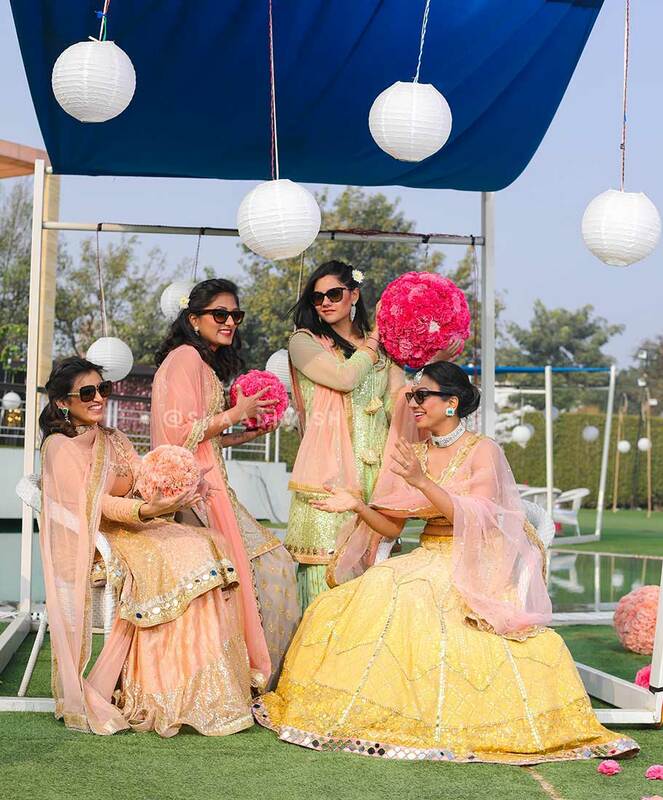 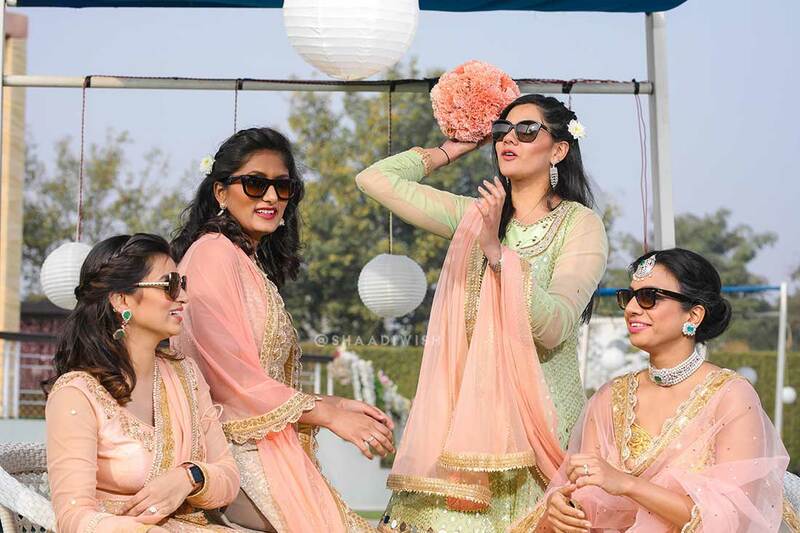 Finally, it was Ananya who won the contest and had a blast getting clicked with her three bridesmaids, Anuradha, Rashi Kapoor and Atika Prasad. 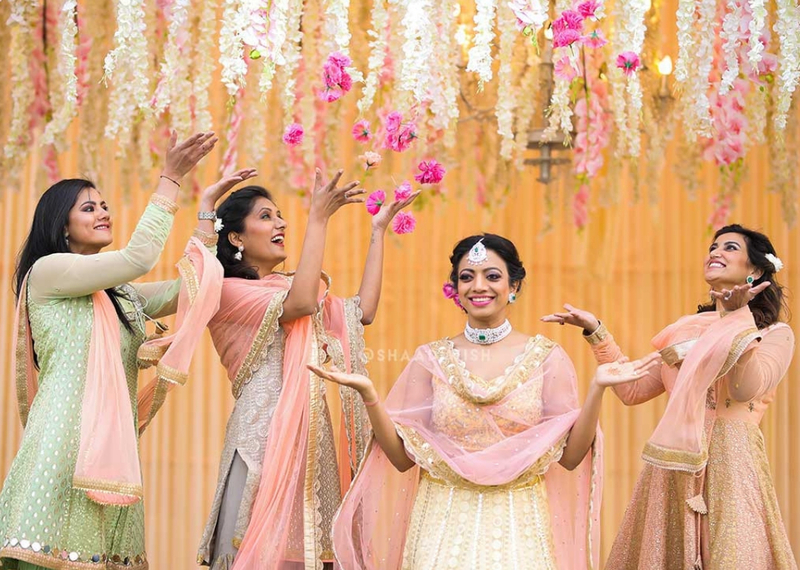 The concept behind this Indian bridesmaid photoshoot was to show the emotions, bond and love each one of them share. 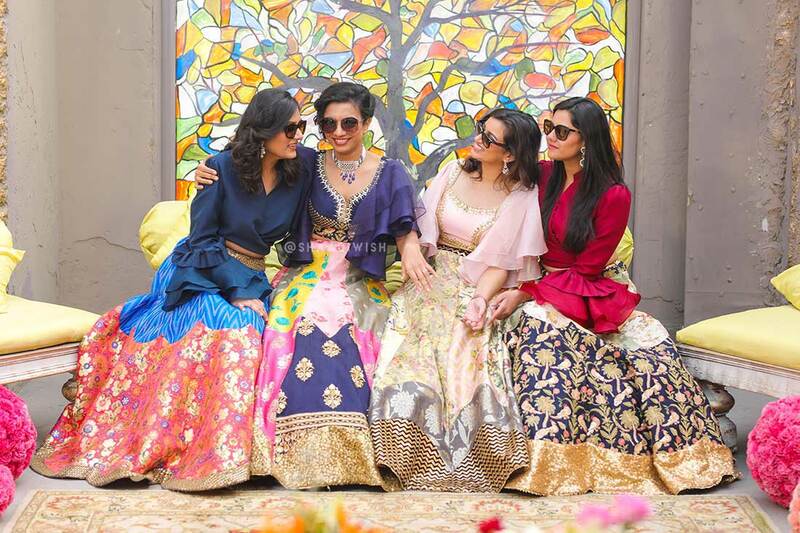 And, we feel we could capture their friendship perfectly, in these shots. 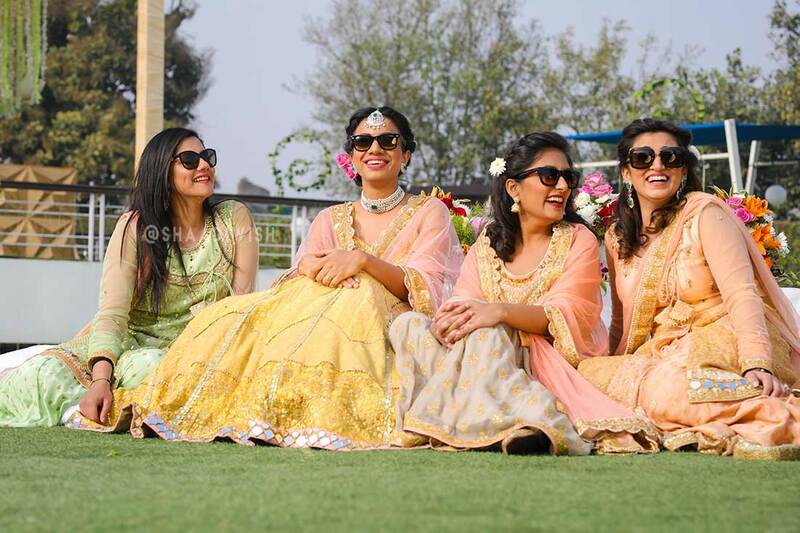 This girl squad relieved their old fun days again in this bridesmaid photoshoot, which was organised at Udman by Ferns N Petals. 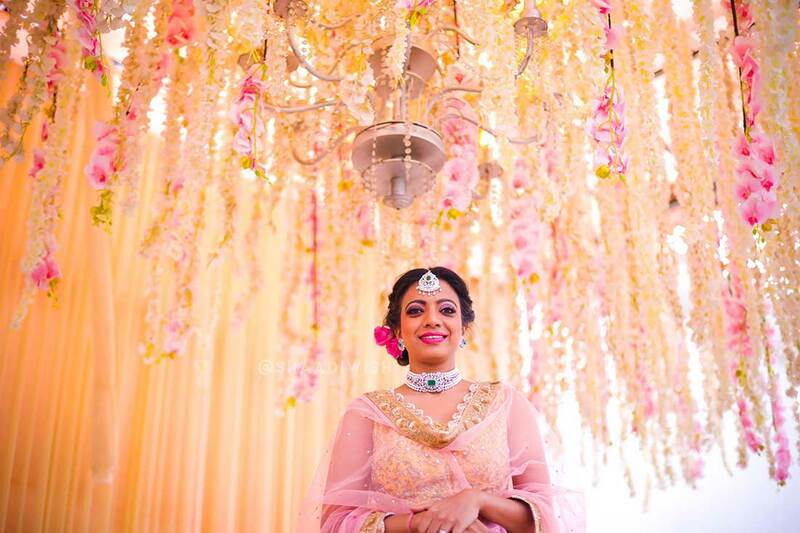 Naina Arora did a great job with everyone’s makeup. 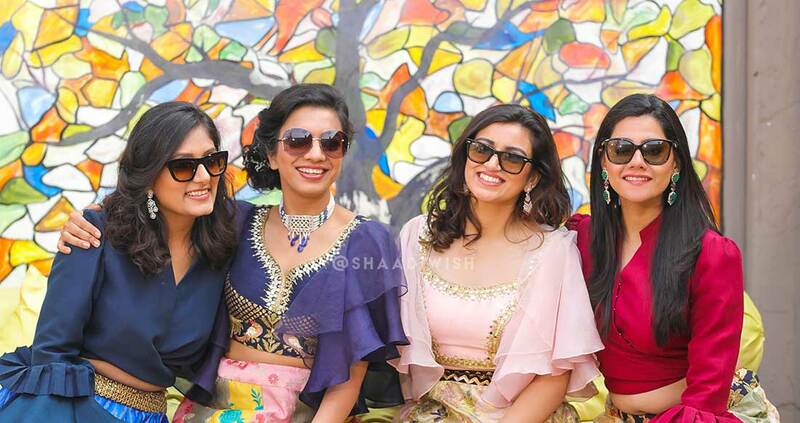 The gorgeous outfits are from Liz Paul and their jewellery was designed by Niaj by Shradha. 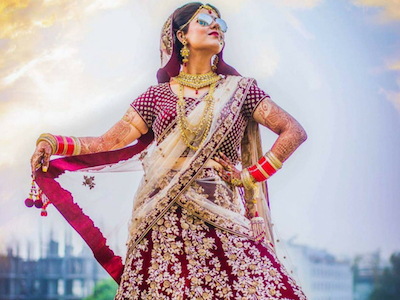 And, the man behind this gorgeous shoot was Gulzar Sethi. 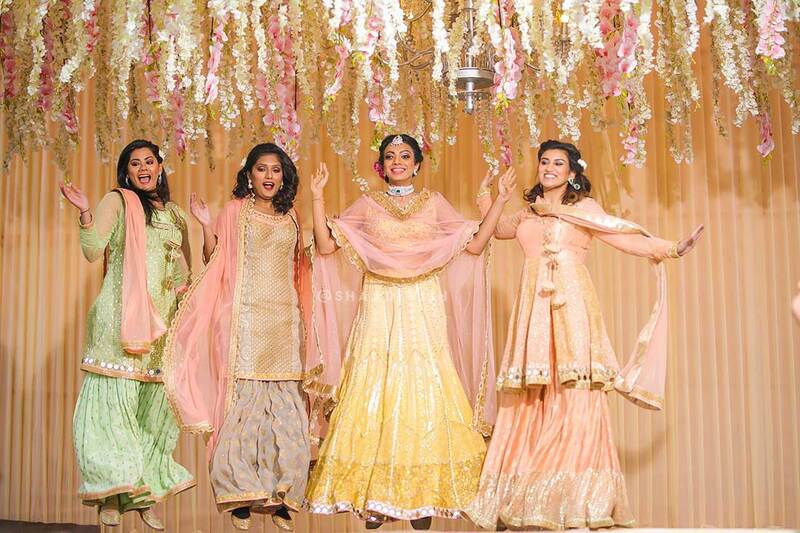 It is the smiles of this girl gang and the hard work of the professionals that made this bridal photoshoot a success. 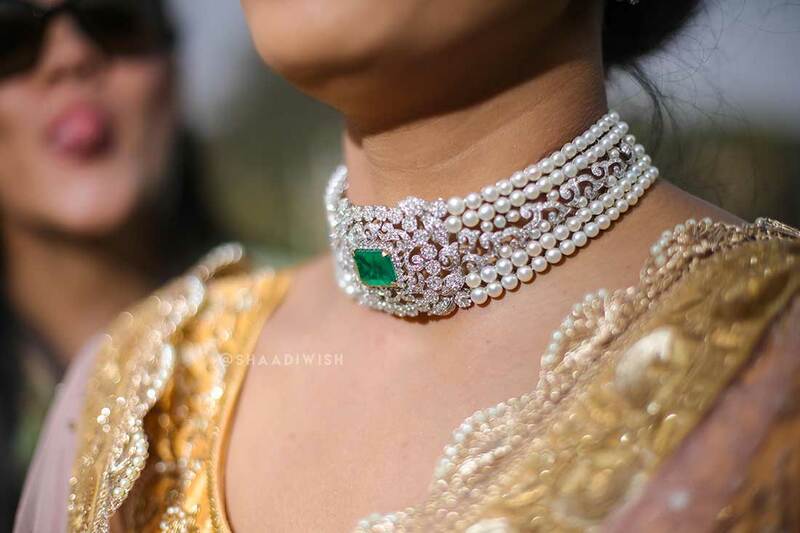 Makeup, hair, dresses, jewellery; everything was simply perfect. 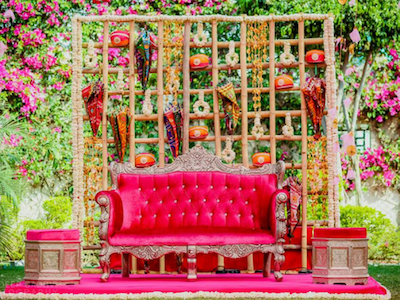 The gorgeous location of Ferns N Petals garden rendered a beautiful touch to the entire experience. 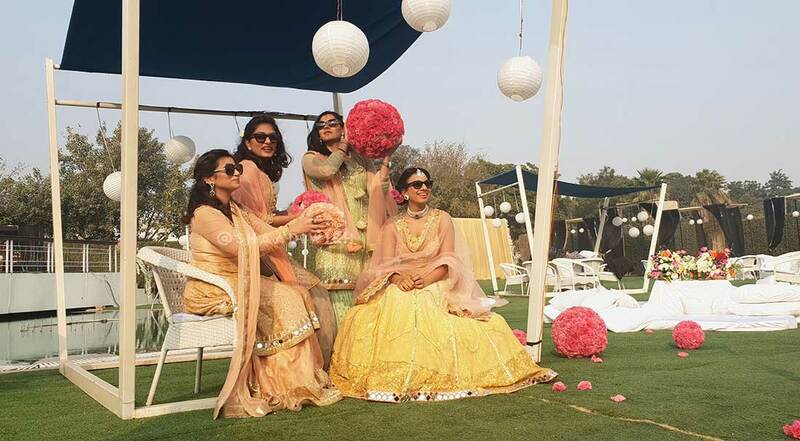 Bipasha Basu Is The Bridesmaid Every Sister Wants At Her Wedding! 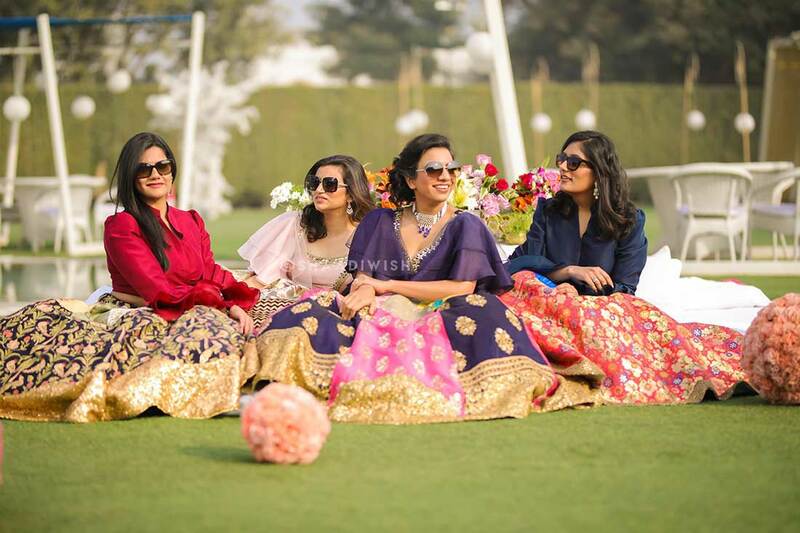 Unseen Pictures and Videos Of Bridesmaid Alia Bhatt With Her Squad Are Goals!